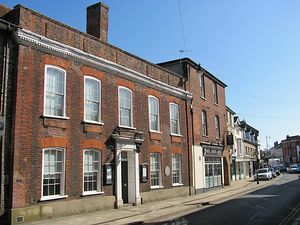 Gainsborough's House is the birthplace museum of Thomas Gainsborough (1727-1788), one of England's most celebrated artists. More of his paintings, drawings and prints are on display here than at any one time than anywhere else in the world. 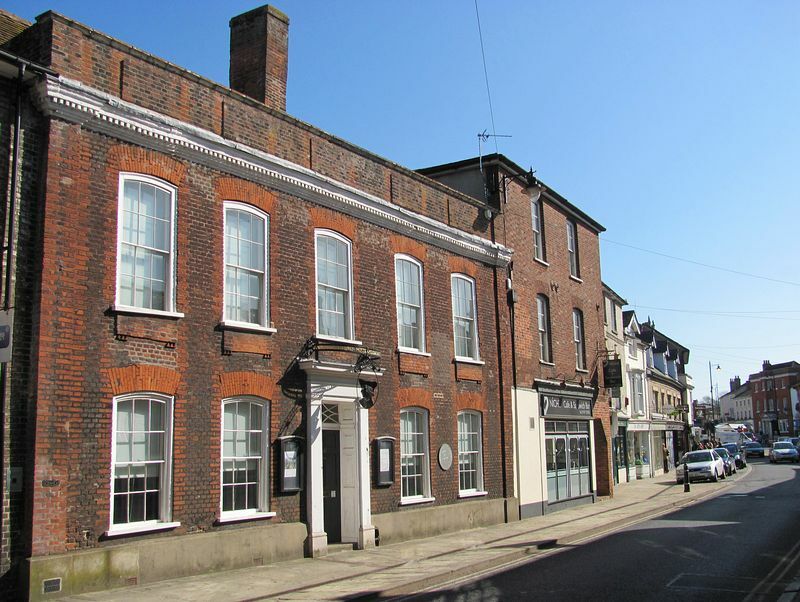 46 Gainsborough Street is an attractive town-house in the heart of the bustling market town of Sudbury. It dates from around 1500 and retains many interesting features. Its Georgian fa�ade, built by the artist's father, and other elegant additions are eighteenth-century. The visitor entrance to the museum is in Weavers Lane and leads into the Gift Shop and Coffee Shop. The entrance area leads out on to the terrace and the delightful walled garden, with its ancient mulberry tree. The collection of Gainsborough's work encompasses the artist's whole career, from early portraits or landscapes painted in Suffolk to later works from his London period. The permanent collection is augmented by many loans of paintings by Gainsborough and his contemporaries, from public and private collections. Artists close to Gainsborough are also represented in the main galleries, such as his nephew and studio assistant Gainsborough Dupont (1754-1797), and those who were teachers or followers. A fascinating collection of Gainsborough memorabilia is displayed in the Entrance hall, and includes the artist's studio cabinet, his sword-stick and his pocket-watch. In the heart of Sudbury, follow pedestrian sign posts from town centre.